Should You Cancel Your Card? One major aspect of your overall credit score is the length of your credit history. If the card you just paid off is the card you’ve had the longest, it may be wise to hold off on canceling, especially if another card doesn’t come close. How will cancelling the card affect your credit utilization? For example, say you have four credit cards. Card A has a limit of $1,000, Card B has a limit of $5,000, Card C has a limit of $500, and Card D has a limit of $6,000. This means you have $12,500 of available credit and say you are currently carrying a balance of $3000, which is utilizing less than 30% of your total available credit. Now say you cancel Card B, which will eliminate $5000 of your available credit, leaving you with $7,500. Your $3000 balance now greatly exceeds that ideal 30% spot. 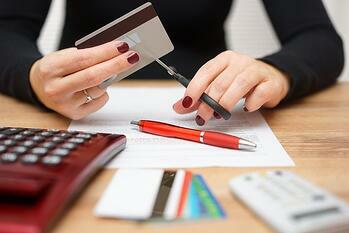 This can negatively affect your credit score in the long run. Are you planning on applying for a loan soon? Avoid closing (or opening) any lines of credit leading up to your application. Closing an account could negatively affect your credit score, causing the potential of being turned down for a loan. Make sure everything is finalized with your loans before making any adjustments to your credit.